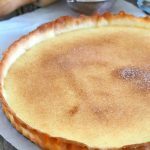 Milk Tart is a simple but delicious dessert that hits just the right spot of sweetness, creaminess and richness with it’s milk custard filling. It is nestled on a sweet, crisp and buttery pie crust that you cannot resist. 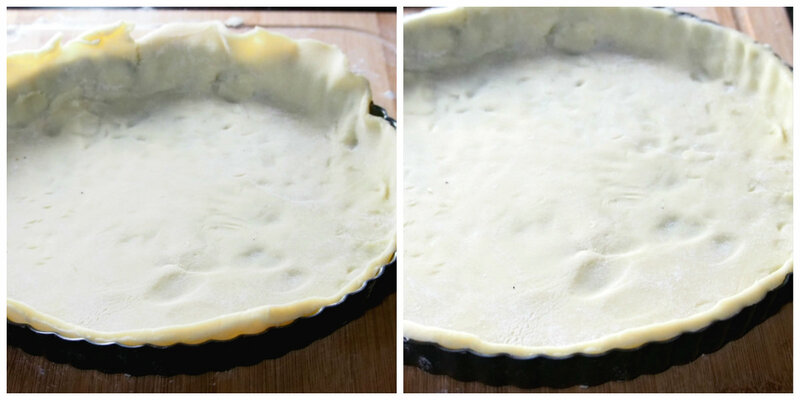 Today, since we have Milk tart on the blog, we are making a well-known pastry, the pie crust. Pie crusts serve as a delicious vessel for all fillings sweet or savory. They are basically made of shortening/ butter, flour and water. Sugar or salt are added to highlight it’s flavor depending on whether it will be used for a sweet or savory filling. I particularly love the buttery, sweet flavor of crusts made for desserts. I can eat a crust on its own without fillings whatsoever. 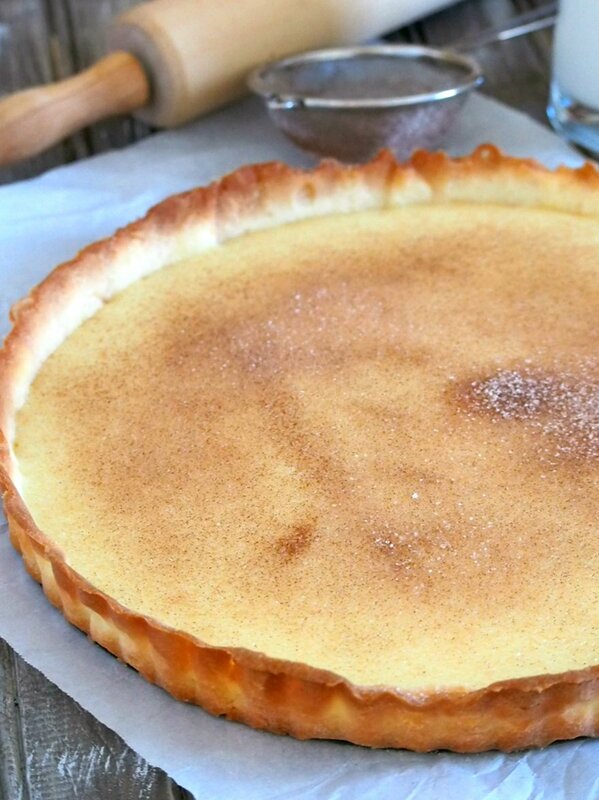 Milk tart is deliciously nestled on a sweet tart crust. A dessert originating from South Africa, and is locally known as melktert , it is characterized by a simple milk custard on a sweet crust that does not have the typical flaky and light texture. Instead, the tart crust is more like a cookie type of pastry. 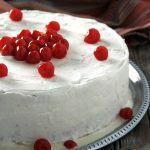 This is a simple concoction that is very pleasant to have after a nice meal or even as a sweet snack. As for me, I eat this one slice after another, and another because I can’t seem to get enough if it. The milk tart custard has a higher milk to eggs ratio. This can be considered like a milk pudding cooked in eggs, flour and sugar. 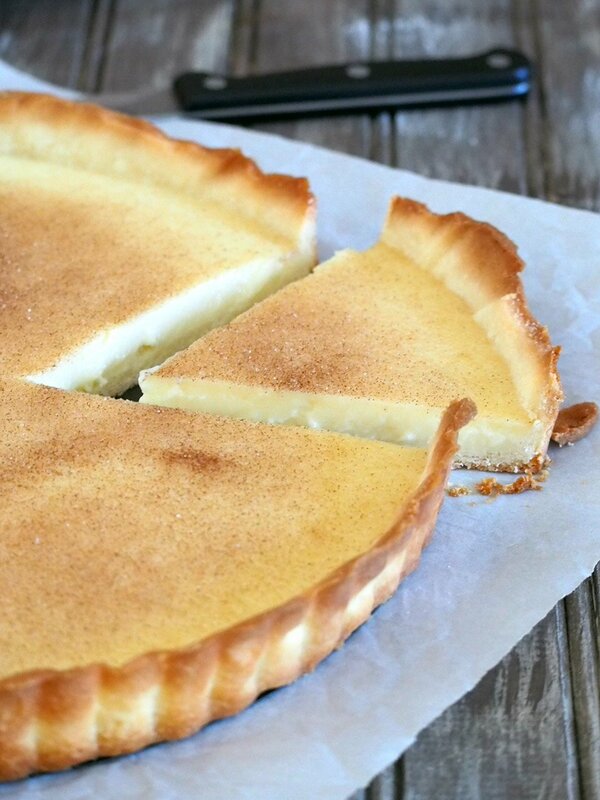 Most method of making milk tart does not require the filling to be baked. Instead, the crust is pre-baked and the filling is cooked on the stove, and poured on the tart shell on serving time. 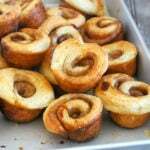 A touch of cinnamon is incorporated to the filling by scalding the milk with a cinnamon stick. 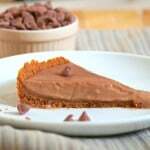 In this recipe, ground cinnamon is sprinkled on top of the cooked filling as garnish. With that being said, milk tart is a delightful dessert, a beautiful pastry that is not too rich or sweet but will definitely satisfy your sweet cravings. If you want richer egg custard on a pastry, you are covered with two recipes here on the blog, my simple egg pie recipe and richer version egg pie as well. For now though, you have to try this Milk Tart. You have to add this to your list of go-to pie recipes. Your guests and family will love it. You will love it! Since we are cooking the filling separately, the tart crust needs to be blind baked. Blind baking is baking a pie or tart dough without filling. Oftentimes, it requires that weights be put on top of the dough, as in this recipe. To blind bake, line your tart dough with parchment paper to cover the surface and the edges. Fill the pie /tart shell with uncooked rice or beans and bake on a pre-heated oven until the crust turns light brown. The weights keep the pastry from puffing up as it bakes. Sprinkle the cinnamon sugar on top of the filling just before serving the tart. This is because the cinnamon-sugar dusting might meld with water condensation upon chilling the tart. 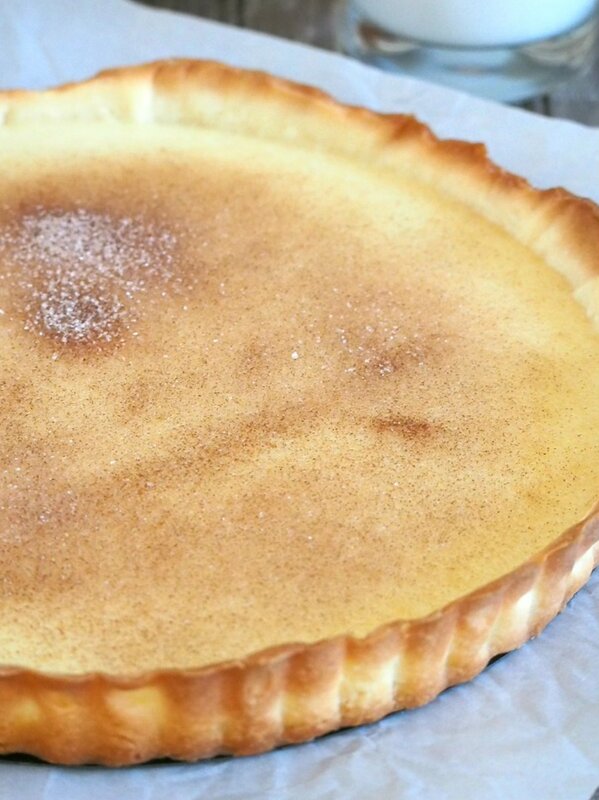 Milk tart is best eaten the same day it is served ( after the initial chilling). The tart still tastes great after a day or two but the appearance may be compromised as it sits in the fridge. Step by step photos after the recipe box. Milk Tart is a simple but delicious dessert that hits the right spot of sweetness and richness with it's milk custard filling. 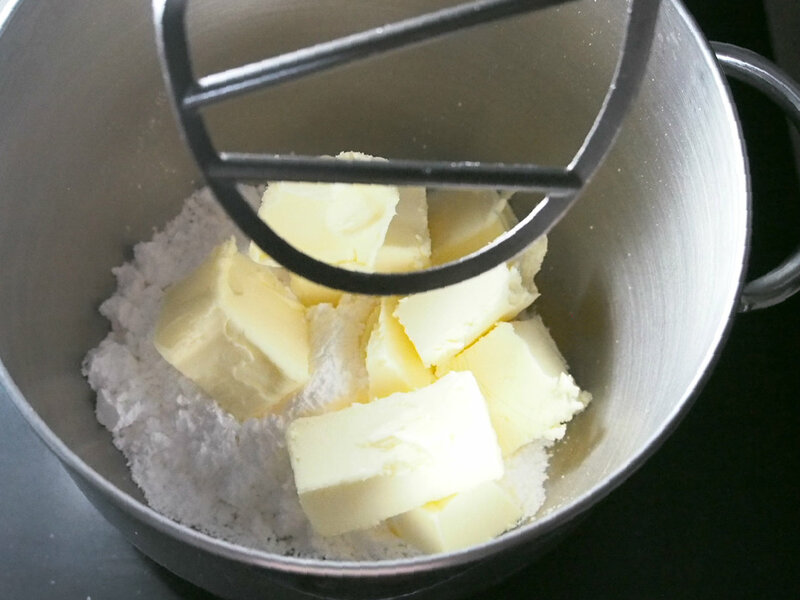 In a bowl of your stand mixer, Cream the butter and sugar using the paddle attachment until mixture is fluffy. Add the egg yolks and half of the water and continue to mix briefly. Add the sifted flour gradually while mixing and then add the remaining water. Mix briefly until mixture looks like it is just about to come together. Turn dough on a floured surface and knead briefly just to form a cohesive dough. Shape dough into a disc. Wrap this in plastic and chill in the fridge for at least 2 hours or over night. Let the dough rest for 30 minutes after you take it out of the refrigerator. On a floured board, use a rolling pin to pat the dough to flatten it slightly, then roll it until it is about 1/4 to 1/8 inch thick. Place a tart pan that is 11 inches in diameter over the flattened dough and trace a circle around the tart pan that is 3/4 inch larger. Cut through the traced circle. Place the tart pan on a baking sheet. 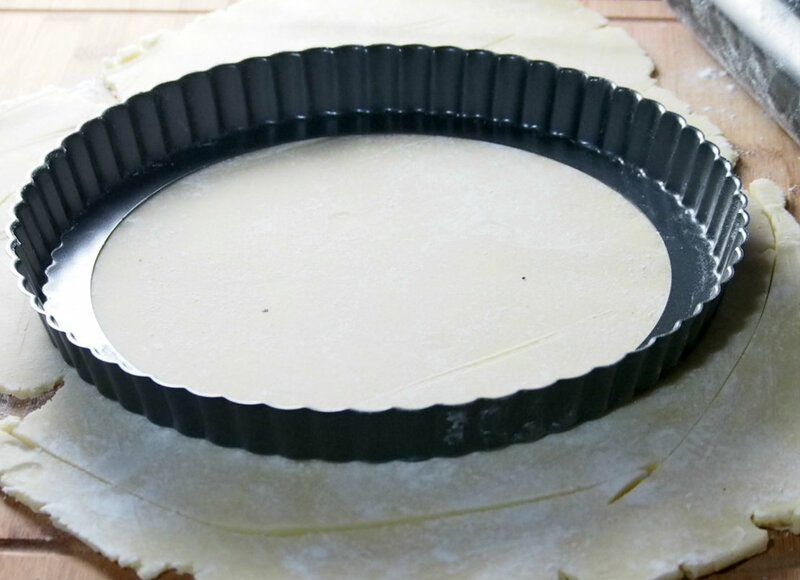 Gently lift the circular dough by wrapping it around your rolling pin and position it in the center of the tart pan. Fit the dough on the sides of the pan by molding it in with your fingers. 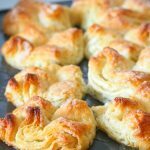 Cut the excess dough on the edges with scissors. Let this chill in the fridge for at least 1 hour. Preheat oven to 350 F. Line the tart shell with parchment paper, covering the entire surface and the edges of the dough. 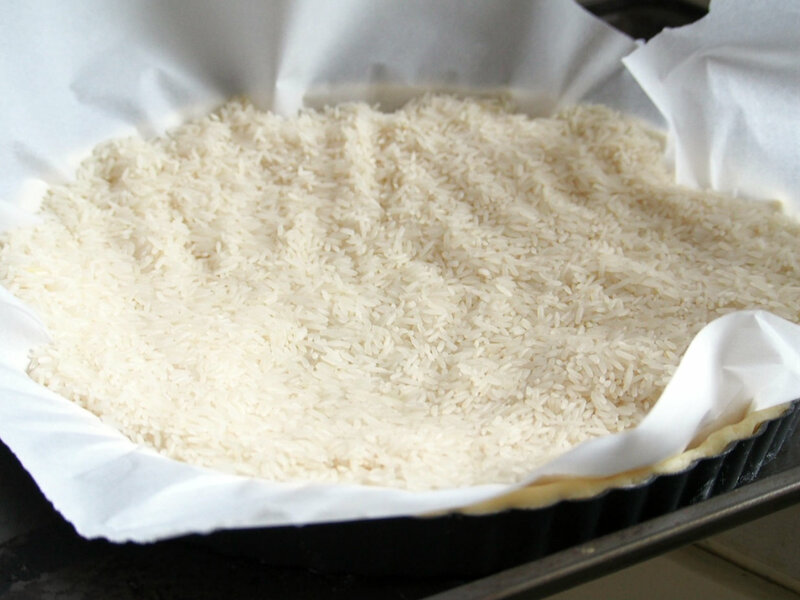 Place uncooked rice on the hollow of the tart shell, filling up to the sides. Place the tart pan on a baking sheet and bake the crust for 30-35 minutes. Remove the parchment and weights during the last 10 minutes of baking. The crust is done once the edges are golden and the surface lightly browned. Set aside tart crust as you make the filling. In medium saucepan, whisk together milk, flour and cornstarch until the powders are dissolved. Add the butter and set the pan over medium heat. Stir the mixture constantly until it is almost at the boiling stage and the butter has completely melted. Add the sugar, eggs and vanilla extract and continue to stir mixture over medium heat until it is slightly thicker than a custard. Pour filling into the prepared tart crust and spread evenly. Once the mixture has come to room temperature, chill it in the fridge uncovered for at least 4 hours to overnight. Sprinkle cinnamon and sugar over top and serve. Best eaten the same day of serving. Tart crust recipe from Sweet pie dough, World Class Cakes by Roger Pizey. In the bowl of your stand mixer, cream butter and sugar until it is light and fluffy. The butter here should be malleable, but still cold. It should not be oily or greasy. To achieve the correct consistency for the butter, let it sit for 10 minutes or so at room temperature, then cut it in cubes. 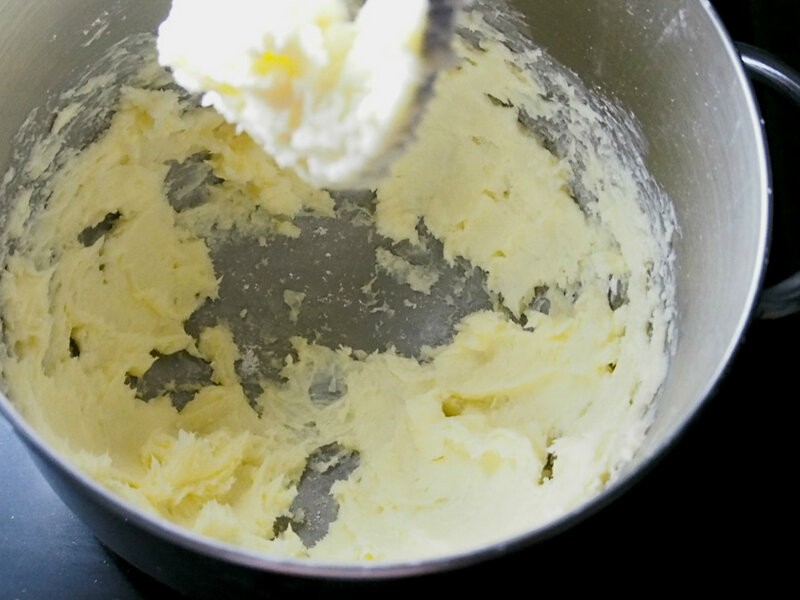 Use your fingers to smash the pieces of butter, making it softer and malleable. To this creamy state, add the egg yolks and half of the water and continue to mix for a minute or two just until the ingredients are incorporated. Add 2 cups of flour gradually and then add the remaining water. Mix briefly until the dough is almost coming together. Turn it out on a floured surface and knead briefly just to form the dough together. Shape it into a disc and wrap in plastic. Chill in the fridge for 2 hours to overnight. Let the dough rest for half an hour after taking it out of the fridge. Use your rolling pin to flatten it slightly, then roll it until it is 1/2 to 1/8 inch thick. Place a an 11 inch tart pan over the rolled dough. Using a knife, trace a circle around the pan that is 3/4 inch bigger. Cut the circle and position the tart pan on a baking sheet. 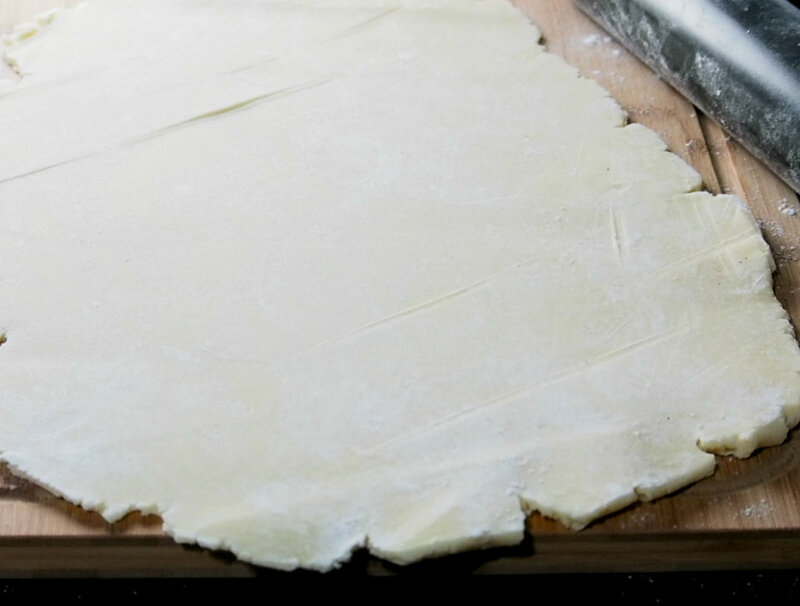 Gently lift the cut circular dough by wrapping it in a rolling pin. Center it on the tart pan. Fit the dough onto the edges of the pan by molding them in with your fingers. Cut the the excess dough hanging on the sides of the pan by using scissors. 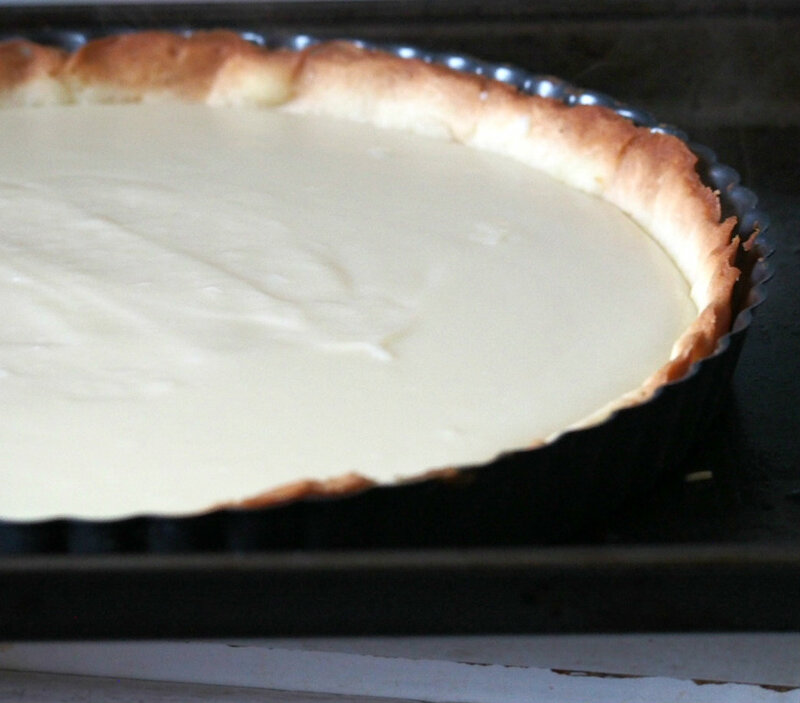 Refrigerate the assembled tart crust for at least 1 hour to over night. So after chilling the dough, pre-heat oven to 350 F. Line the tart crust with parchment paper, covering the surface and edges. Place uncooked rice or beans over the hollow of the shell making sure to fill it up to the sides. Bake in the pre-heated oven for 30-35 minutes. The edges should be golden and the base should be lightly browned. You can remove the parchment and the weights during the last 10 minutes of baking. Do not try to remove the parchment if it still sticks to the crust. This means the crust has not set yet and it needs more time. The rice or beans used as weights are still good for cooking. In a sauce pan, whisk together milk, flour and baking powder until the powders are dissolved. Add the butter to the mixture and set the pan over medium heat. Stir mixture continuously until the milk comes to just below the boiling point and the butter has melted. Add in beaten eggs, sugar and vanilla extract. Continue to stir the liquid until it has thickened like a custard, or a smooth paste. Pour mixture onto the baked tart shell. Spread across the entire crust and allow to cool to room temperature. Chill in the fridge uncovered for at least 4 hours to overnight. Sprinkle cinnamon and sugar on top of the filling and serve.